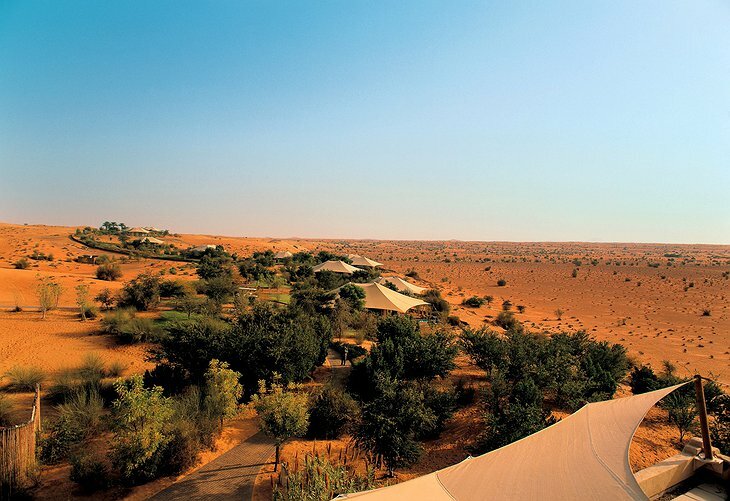 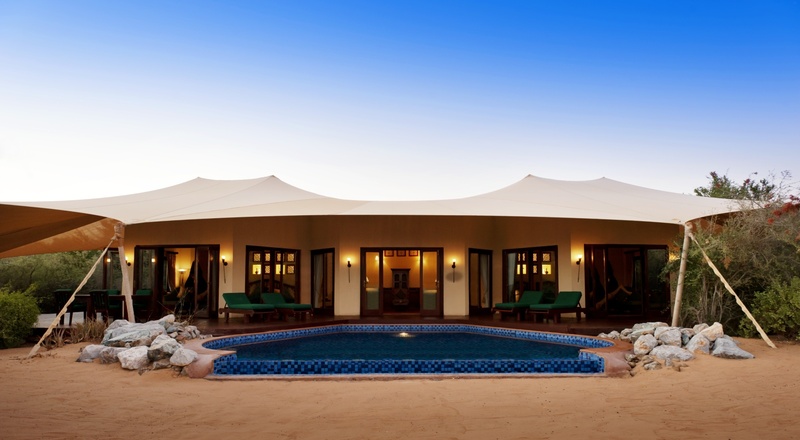 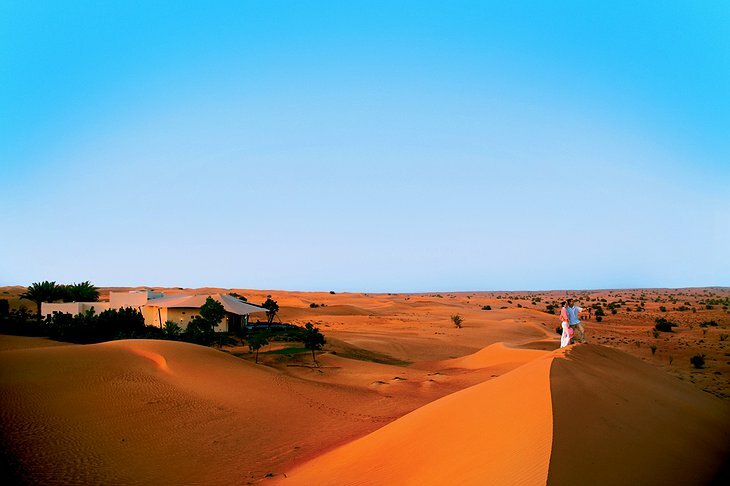 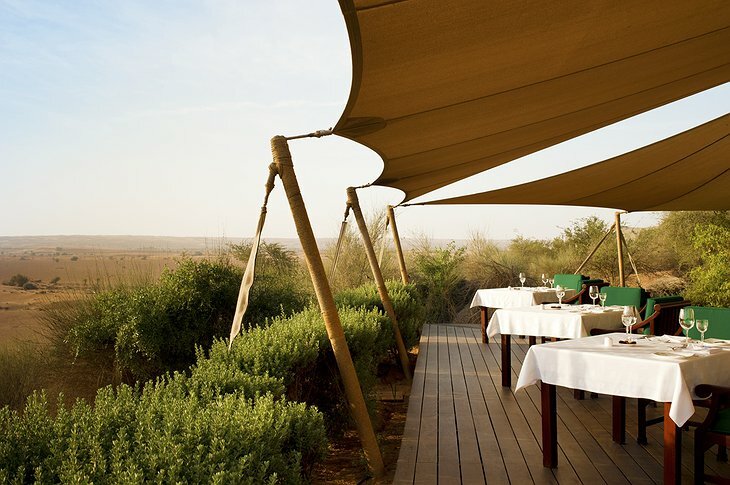 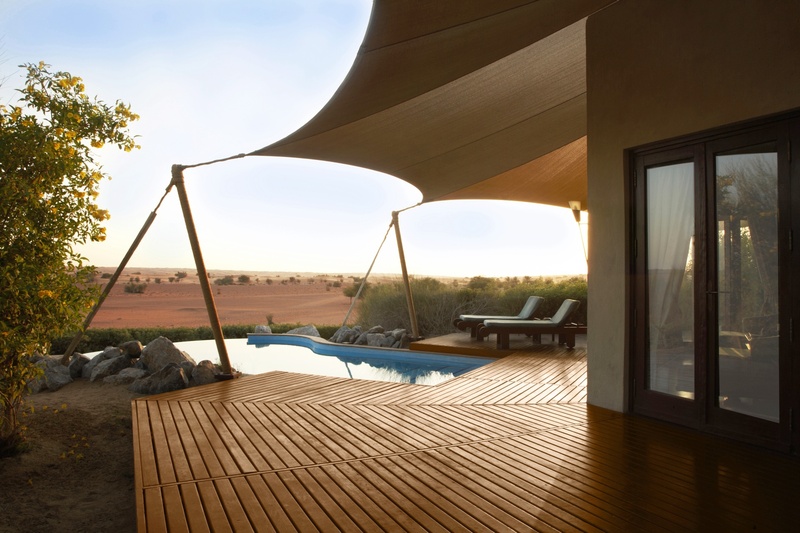 Rising like a mirage from the sands of the Arabian Desert, the Al Maha (named after the Arabian Oryx - desert antelopes who populate the area) is a luxurious hideaway. 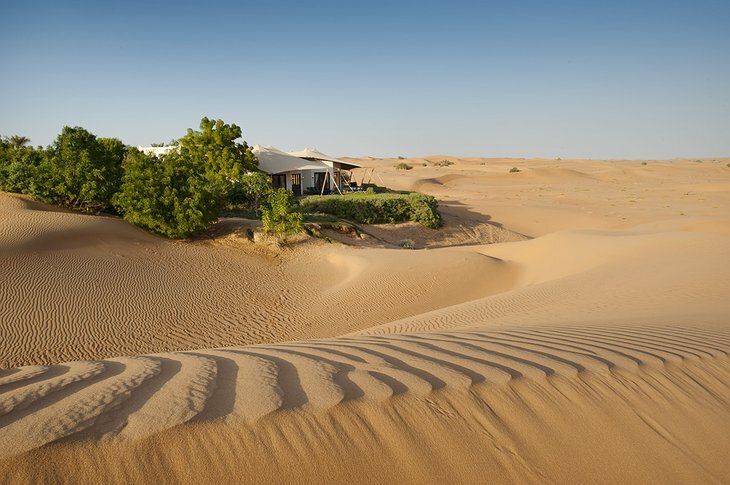 Just 45 minutes from Dubai, this hotel creates a feeling on timelessness using classic, hard-to-place décor and making the most of views that expand infinitely in all directions. 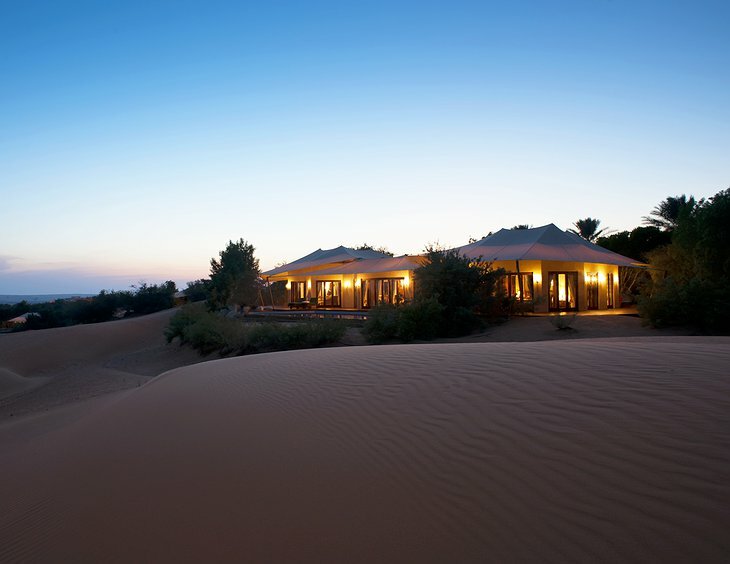 Take a romantic dinner outside in the lantern-lit desert with traditional Bedouin tables and cushions and hear the sounds of nature. Indeed their project to preserve the ecology of the desert has reintroduced indigenous wildlife, flora and Oryx to the area; they are also planting over 6,000 trees. The resort has state-of-the-art water recycling facilities that purify and re-filter ground water; waste water is purified and used for irrigation. 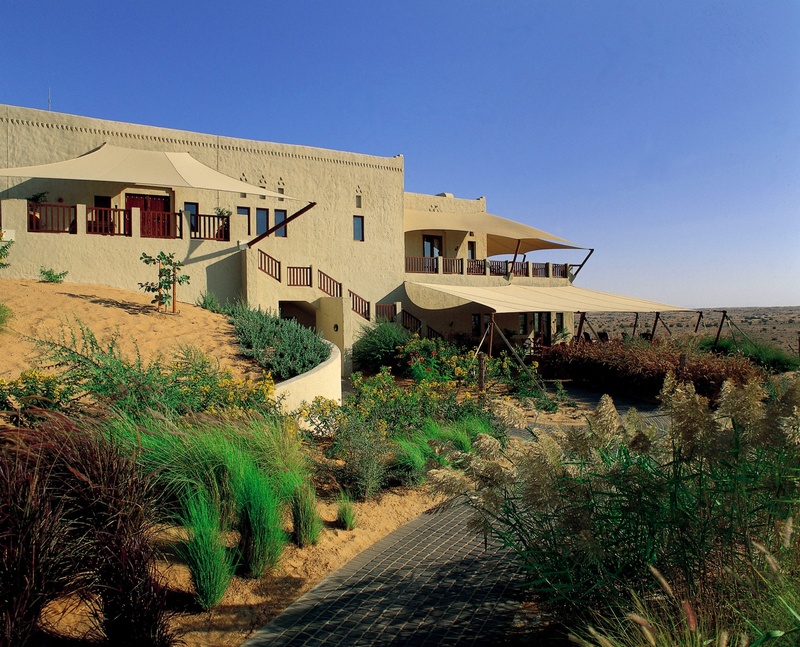 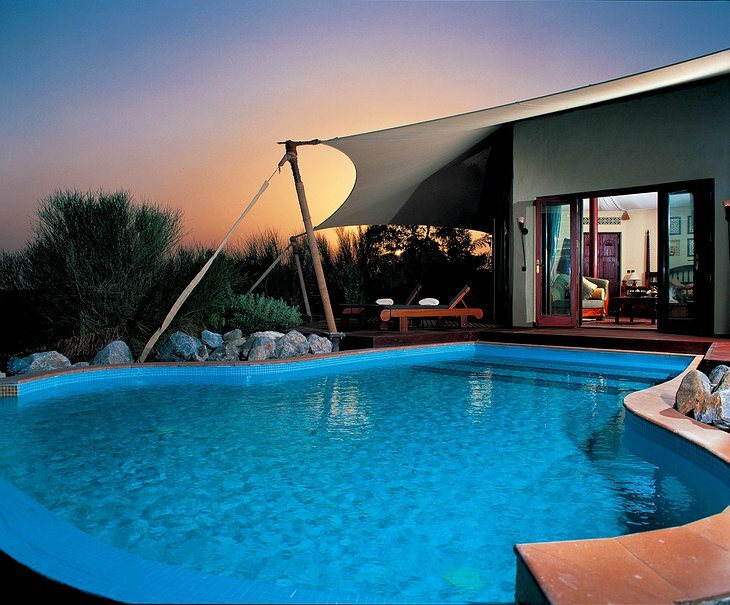 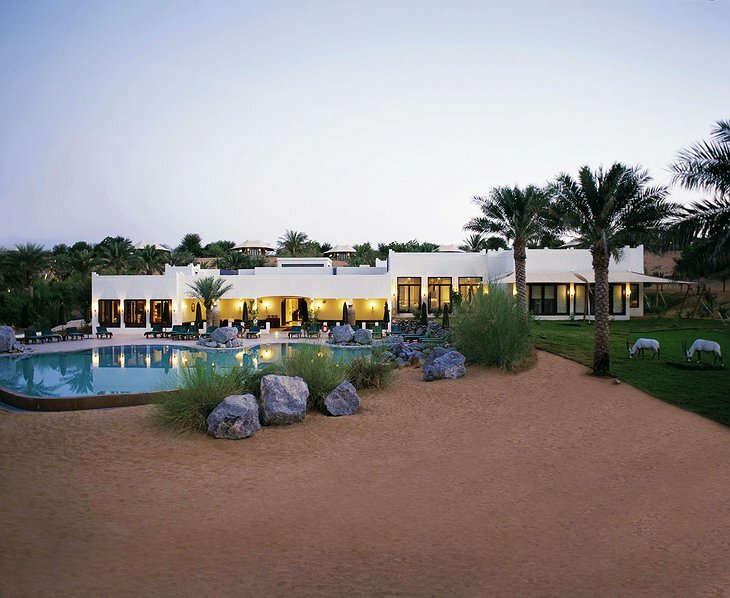 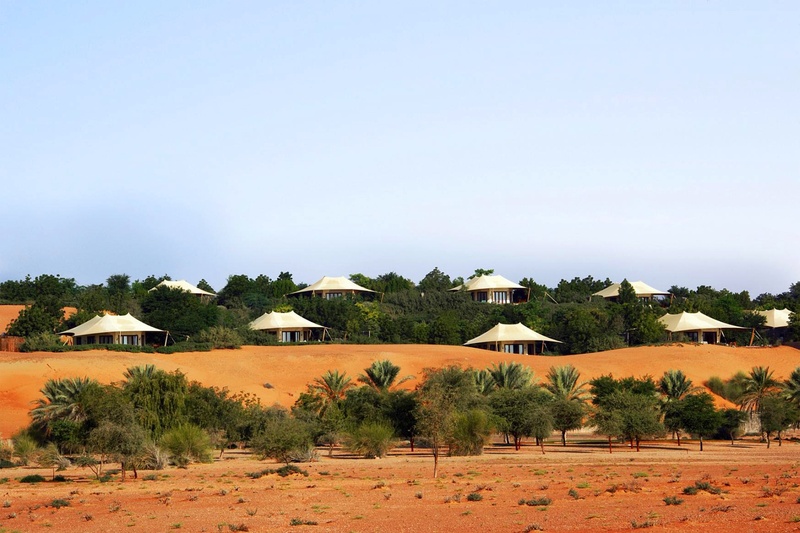 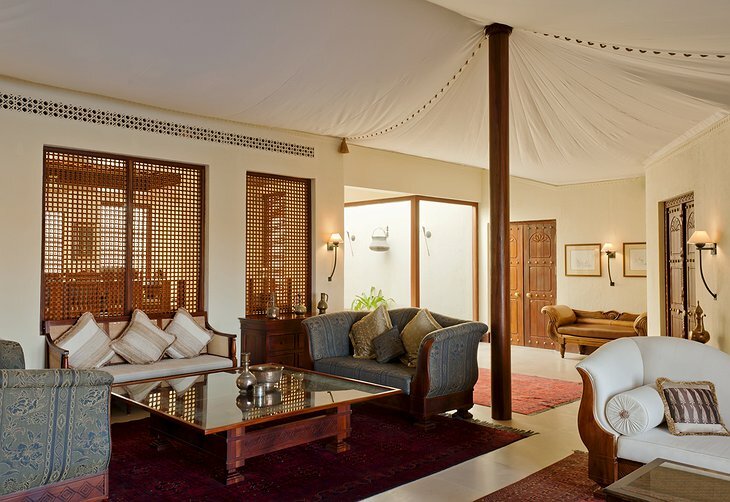 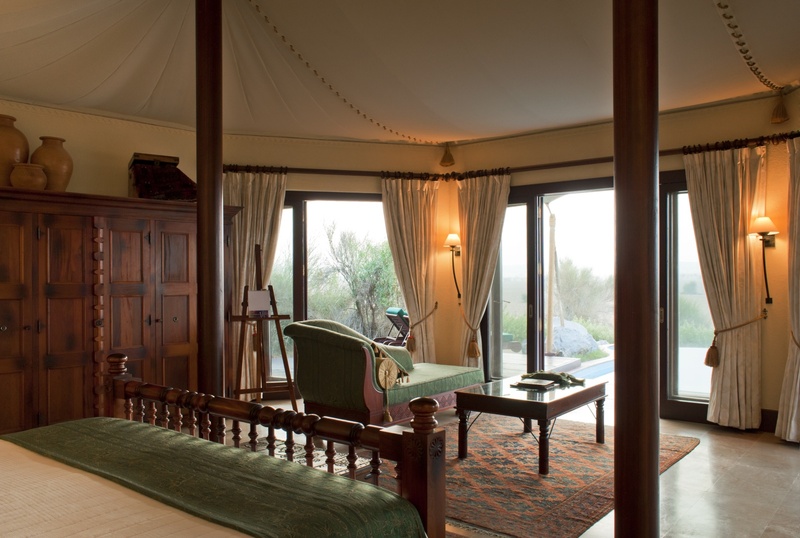 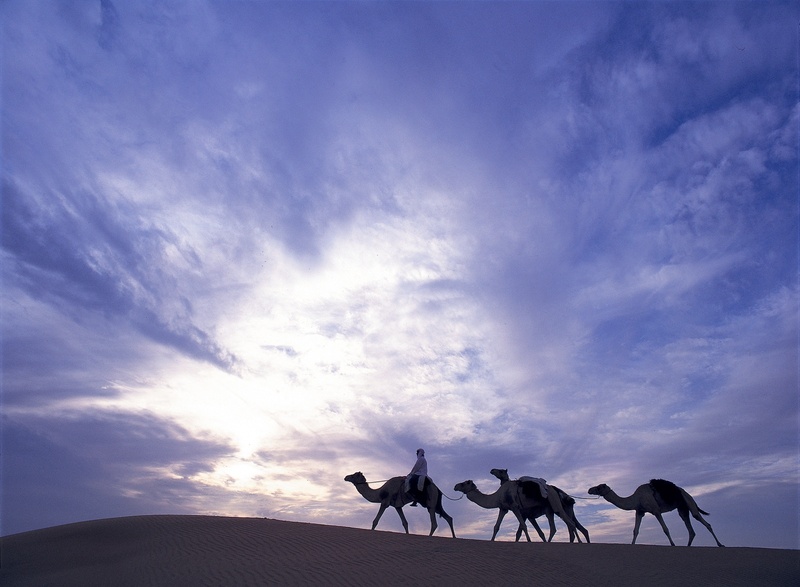 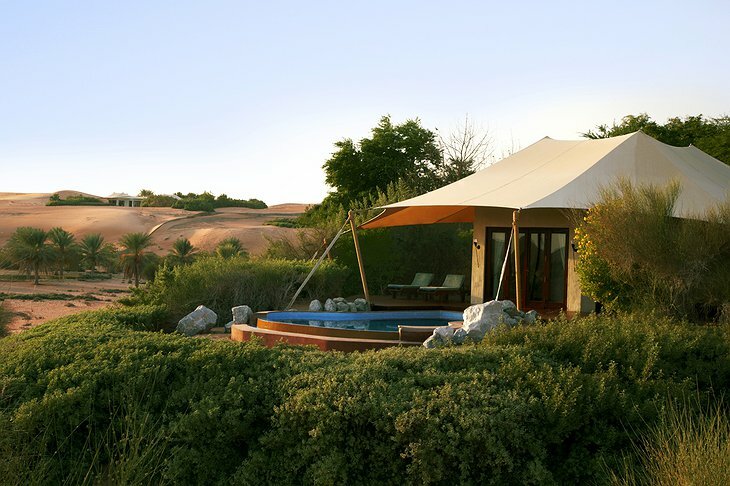 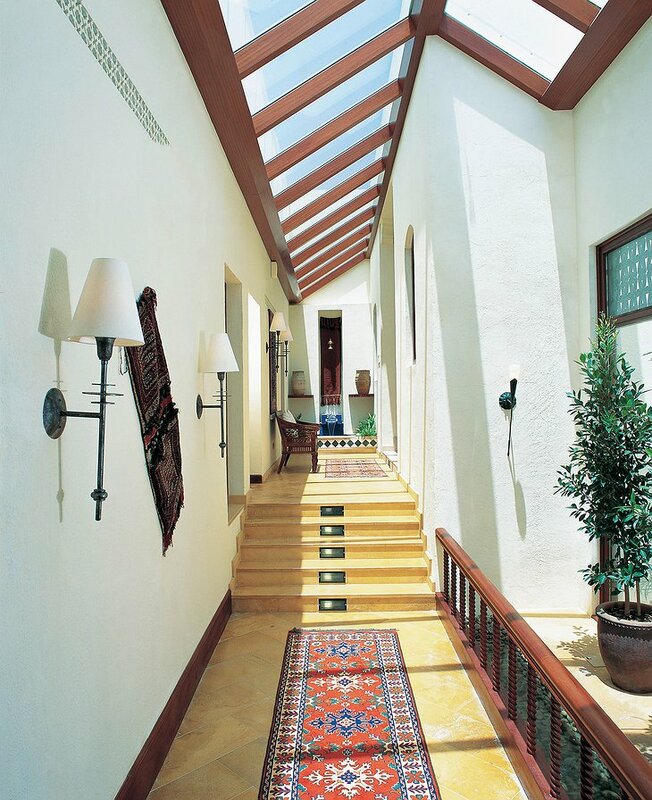 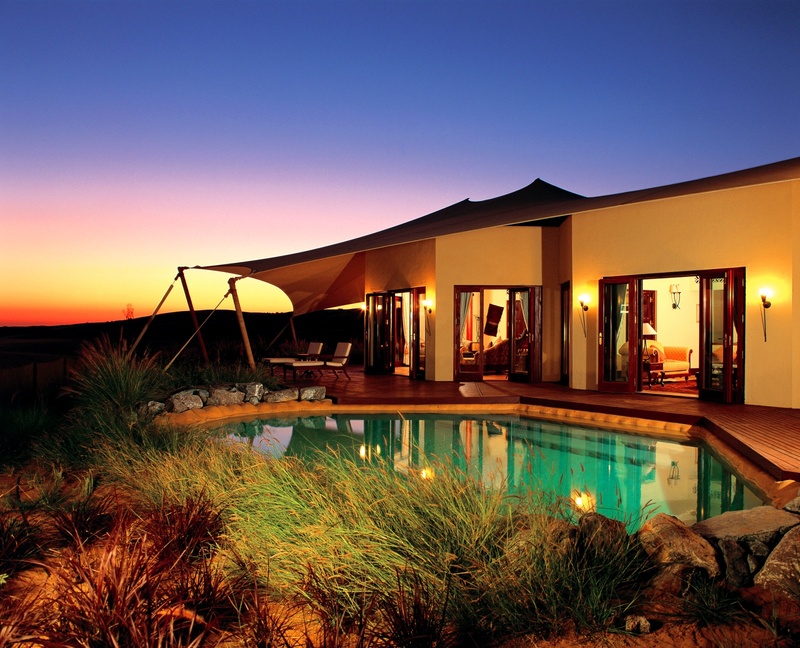 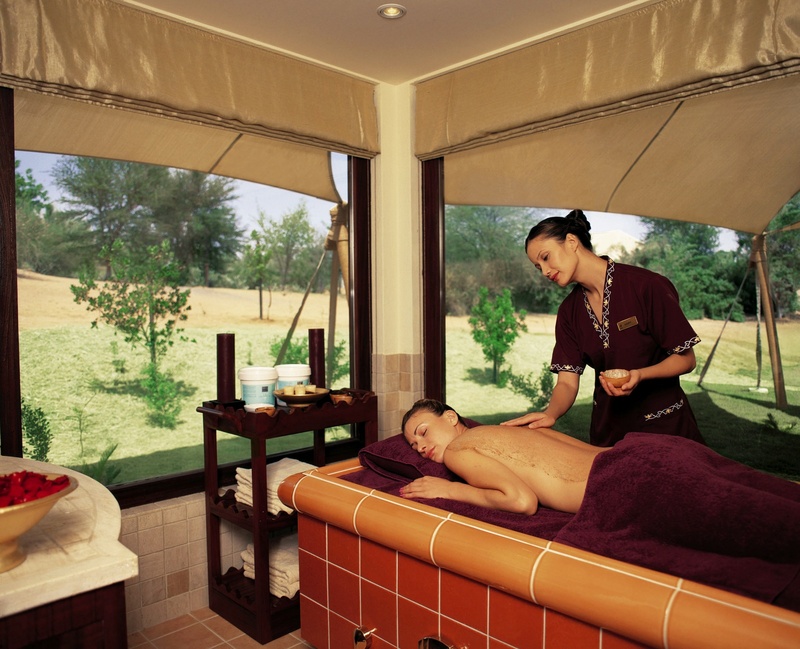 Guests can indulge in a number of activities from archery to camel-rides. 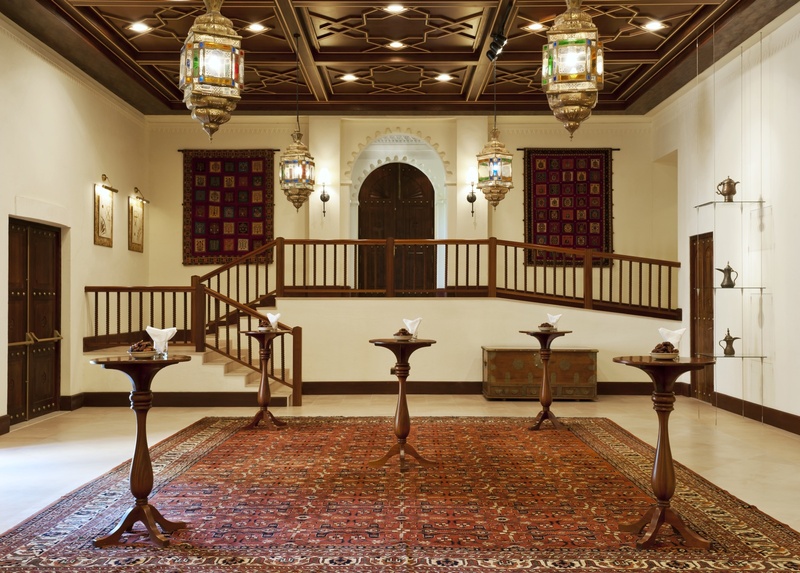 When you go to the Al-Maha you will be embraced by simplicity.